Hi all, Jen T. here. I am stopping by to share a fun a quick mini book and card i made using the simple stories domestic bliss collection. 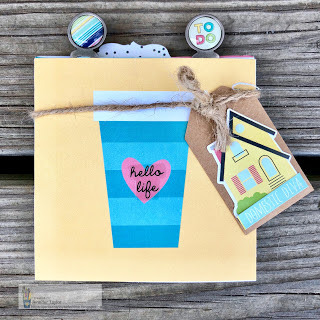 When i saw this set of 4x4 cutaparts i thought hmm this would make a cool to add my to do projects in or add into a pocket in my planner. ( maybe even lol! 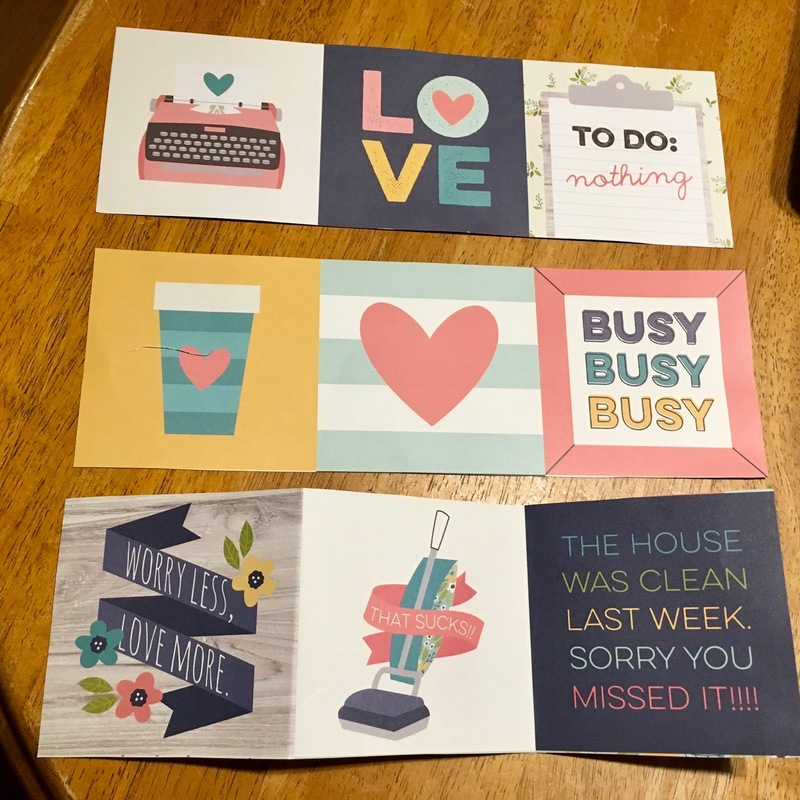 make my home projects ans chores a lil more fun) So, all you need to do this is grab the domestic bliss cutapart sheet that has the 4x4 squares and cut the three rows across horizontally. Then fold after each image. Take the image on the end you least like and sandwich the ends together with adhesive so you have a long strip. Fold them up all into one 4x4 card and add a ribbon to close- to have more areas to write i matted some scraps from other projects then i embellished pages with the collection embellies like metal clips ,tags,enamel dots,clear stickers,chipboard and cardstock stickers. 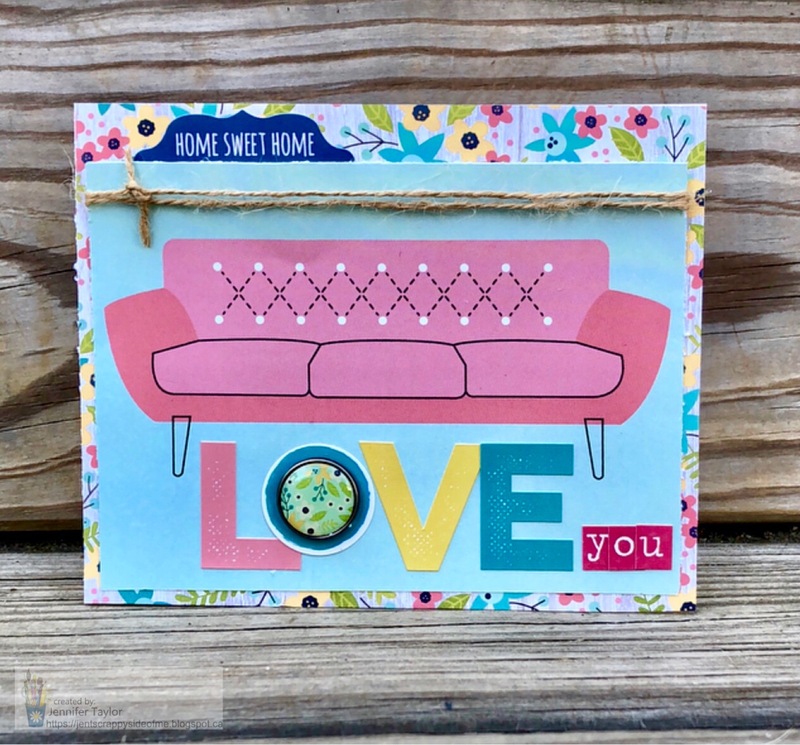 Lastly, i made this you love card also using the domestic bliss collection...isn’t it just a great kit! I just love ;) how it came out! 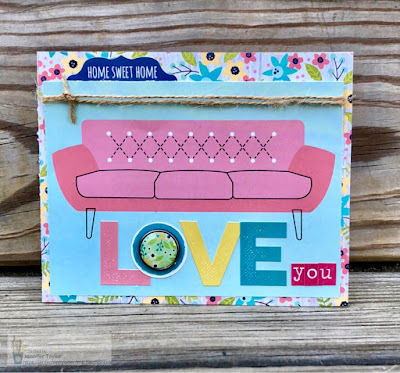 The couch image is a cutapart that i layered onto a piece of pattern paper from the 6x8 paper pack then i used the diy twine , a label sticker ,alpha stickers from another ss stash i have and then a decorative brad for the middle of love. Hope i got your creative juices flowing today and happy creating!